Solange joined the Boston Bodyworker in 2012 when she was just starting out in her career as a massage therapist. She has been Nationally Board Certified (BCTMB) and a Certified Orthopedic Massage Therapist (COMT) since 2013. She is also certified in pre and perinatal massage (CPPMT) since 2015. 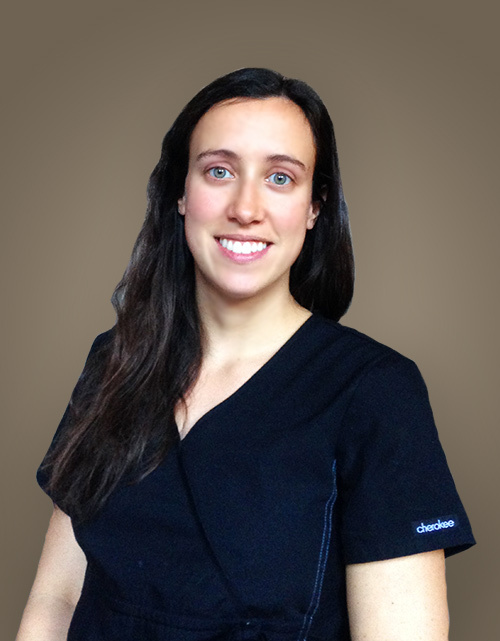 She knew as a student that she wanted to work in an environment that promotes the clinical and sports side of massage and The Boston Bodyworker has been the perfect place for her to grow as a professional. Solange has always felt that the human body is an amazing and complex thing that we often do not use to its full potential. Solange’s goal as a therapist is to educate clients on how to feel good in their bodies. No one should have to live with constant pain or restriction, and through massage she has been able to help her clients achieve a more enjoyable way of moving and living. Solange’s interest in bodywork and massage began early on as a teenager. She was always an active participant in recreational sports and games, and therefore had a good sense of the importance of healthy tissues in overall well being and comfort. After receiving her first professional massage she was amazed at the therapist’s ability to understand the tissues and her knowledge of the body as a whole. Since then, Solange’s interest in learning the anatomy behind the body’s functioning has only grown. She attended Boston University, graduating in 2010 with a Bachelor of Arts in International Relations. In college she continued receiving massages occasionally and began practicing yoga, furthering her admiration for the benefit of bodywork. After college she was still strongly drawn towards massage therapy and decided the time was right to pursue her ambition. She began her new career at Bancroft School of Massage Therapy in Worcester, MA with an intensive thirteen month program. There she was taught a wide variety of modalities including, Swedish, deep tissue, sports massage, myofascial release techniques, and trigger point therapy. The education received in school is just the beginning and in the years since Solange has taken many opportunities to learn from her colleagues and attend continuing education workshops in the area. In addition to the certifications mentioned above she became a Certified Kinesiology Taping Specialist (CKTS) in 2017. She has also taken courses in Myoskeletal Alignment Techniques, Thai Table Massage, Orthopedic Massage and Myoskeletal Mobilization techniques. She has maintained her enthusiasm for learning and is always looking to add to her repertoire. Solange lives in Quincy and in her free time enjoys spending time with friends and family, traveling whenever possible, camping and hiking, reading on the beaches of Cape Cod, running half marathons, cooking and playing with her dog.